Contact ACF to learn more about direct mail. Are you looking for a way to gain leads and increase sales? Direct mail is the answer! People have been using direct mail postcards for years because of one simple reason-they work! Direct mail is a versatile form of advertising that is distributed to a targeted market, making it an excellent form of affordable advertising. We are direct mail postcard marketing experts that have the tools you need to help gain leads and business. The key to successful direct mail lead generation is greatly dependent on lists with up to date information. Having a list targeted to a specific group of people will greatly help gain direct mail marketing leads. ACF will provide you with a mailing list targeted to people interested in buying your products or services. Our lists are constantly updated and can be changed easily depending on what your marketing needs are. We will provide you with the most direct mail marketing leads a Florida company has to offer. We are direct mail postcard marketing experts! Our staff of experienced designers, copywriters and marketing experts will help you get the most out of your direct mail campaign. We can help you from concept to completion. Just tell us a little about your company and what you are trying to promote and we will take it from there. We have worked on advertising campaigns for several different companies in a wide variety of industries. No matter what industry you are in, the direct mail postcard marketing experts at ACF Consulting can help you find a solution! 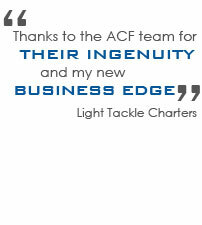 Generate direct mail marketing leads with Florida based company, ACF Consulting.